Friday February 1, 2019-Weeks after he allegedly resigned as the vice chairman of the ruling Jubilee Party, David Murathe is still the vice chair of Jubilee. 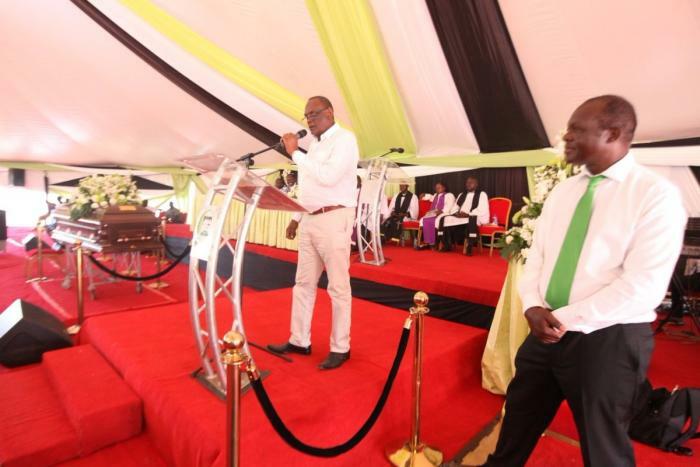 This was revealed by Party Secretary General, Raphael Tuju, who said the party was yet to conclude the legal process of confirming the resignation of Vice-Chairman David Murathe. Although Murathe submitted his resignation letter to the ruling party's Secretary General over a month ago, he was yet to receive a letter accepting his resignation. Besides, the Jubilee Party had not formally notified the Registrar of Political Parties, Ann Nderitu, as required by law. According to Nderitu, her office was yet to get any confirmation from Jubilee Party about the alleged resignation of Murathe. “I am aware the party is in the process of making a communication on the party leadership changes. We are in conversation,” she disclosed. This spells more doom for Deputy President William Ruto who cannot stand the presence of Murathe, who is his number one enemy.